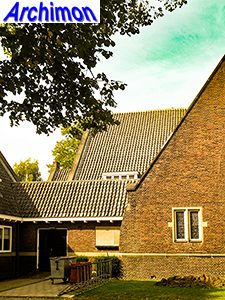 This originally reformed church was simply named after its neighbourhood, Lasonder. 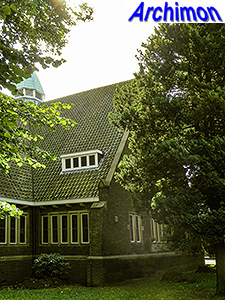 Although the first plans to build a church in this neighbourhood were made in the 1880's, it took some forty years before they were realized. 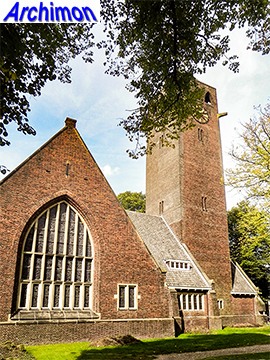 The Lasonderkerk was designed by the brothers J. and Th. 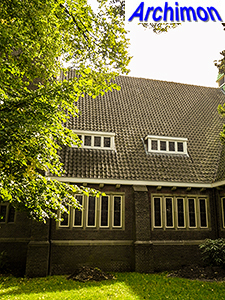 Stuivinga (or Stuyvinga), architects in Zeist. 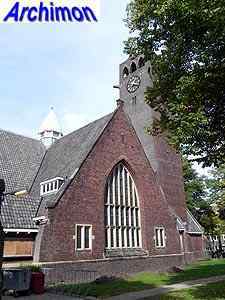 The church is largely in an Expressionist style closely related to the Amsterdam School, but with influences from Scandinavian architecture. 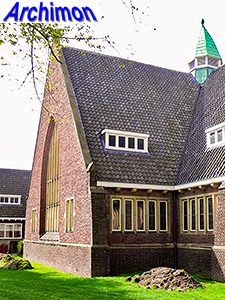 The church has a centralizing cruciform ground plan with a wide transept with large pointed windows, while the rest of the church has small rectangular windows only. 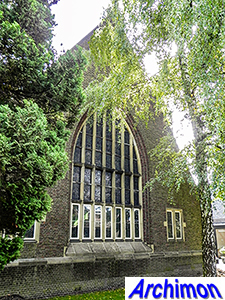 The walls of the nave and the transept have buttresses, which in the case of the transept are integrated in the biggest walls. 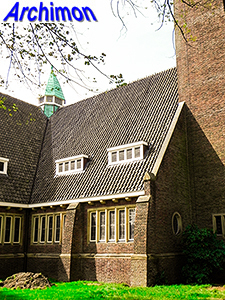 The crossing is crowed with a hexagonal turret, which serves for ventilation. 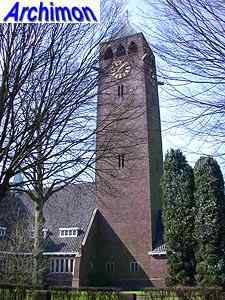 At the north side, at the front of the church, is a tall tower. 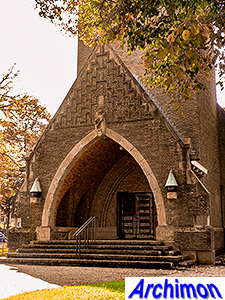 At its front is the main portal, which is richly ornamented. 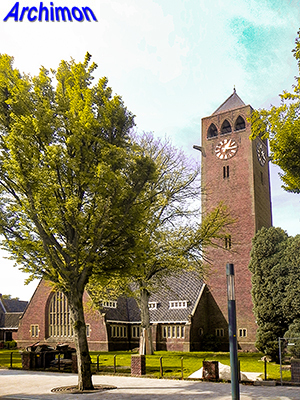 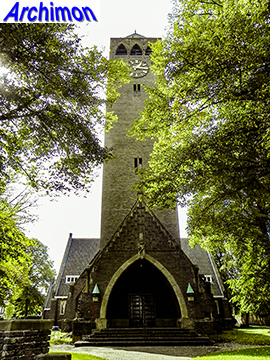 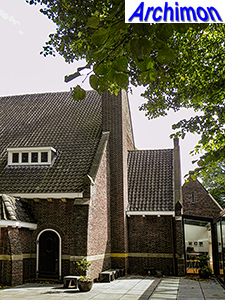 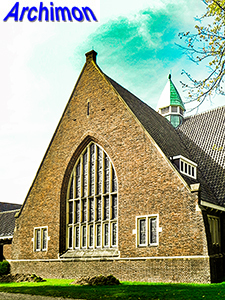 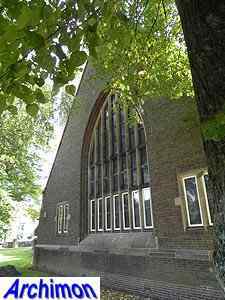 In 1970 the original reformed users sold the church to another calvinistic denomination, the Nederlands Gereformeerde Kerk. 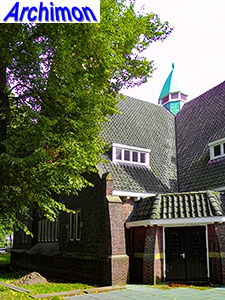 In December 2000 an explosion in a fireworks warehouse destroyed the Roombeek neighborhood just north of the church, which itself suffered some damage too. 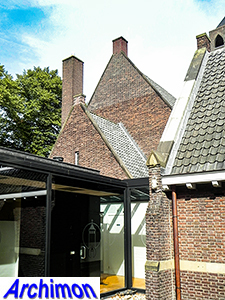 However, it was soon put back into use. 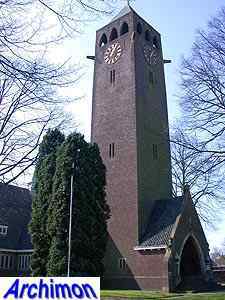 In 2010 the tower was restored.